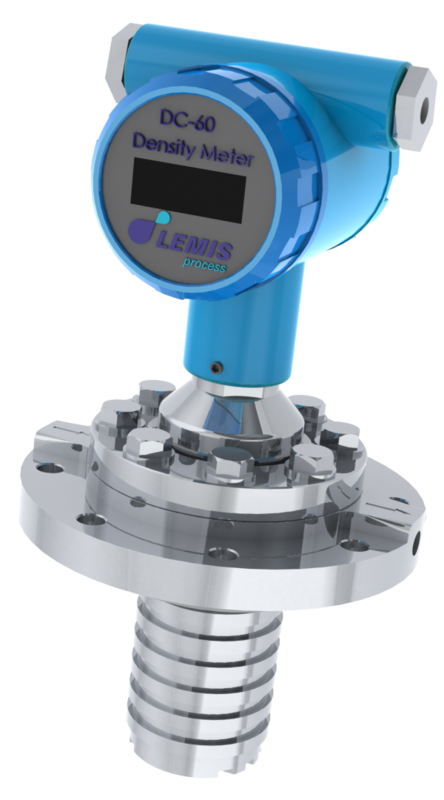 DC-60 Density Meter is another instrument of LEMIS process DC series instruments, designed for accurate, continuous monitoring of the technological process. High-accuracy density data for natural gas mixtures are required in entire range of pressure, temperature and compositions encountered in custody transfer. 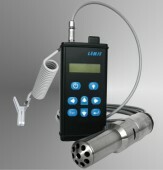 DC-60 provides a continuous monitoring of density and temperature of natural gas in the flow. The gas is passed over the cylinder tube resonance sensor vibrating at its natural frequency. The mass of gas in contact with the vibrating walls vibrates with the cylinder. Depends upon the gas density and, since increasing the vibrating mass decreases the natural frequency of vibration, the gas density is simply determined by measuring the change in sensor resonant frequency. This measurement method provides precise gas density values in seconds.